Featured artists who will be performing music written and inspired by Jimi Hendrix. Include some of the best known and most respected artists in contemporary rock and blues including Joe Satriani, Jonny Lang, Eric Johnson, Kenny Wayne Shepherd, Brad Whitford (of Aerosmith), Doyle Bramhall II, Ernie Isley, Living Colour, Double Trouble's Chris Layton, along with bassist Billy Cox. Cox, who first befriended Hendrix when the two were in the 101st Airborne division of the US Army. Cox played in both the Jimi Hendrix Experience and Band of Gypsys and performed with Hendrix at such landmark festivals as Woodstock and the Isle of Wight. Cox commented, "It's a thrill for me to play Jimi's music for audiences now as it was in the 1960s. The Experience Hendrix tours have shown how timeless this music really is." Joe Satriani remarked, "I finally get to pay tribute to my hero the right way, on stage with an amazing, once in a lifetime, line up of musicians!" Sacred Steel featuring Robert Randolph, Susan Tedeschi and David Hidalgo and Cesar Rosas of Los Lobos are also performing on selected Experience Tour dates. 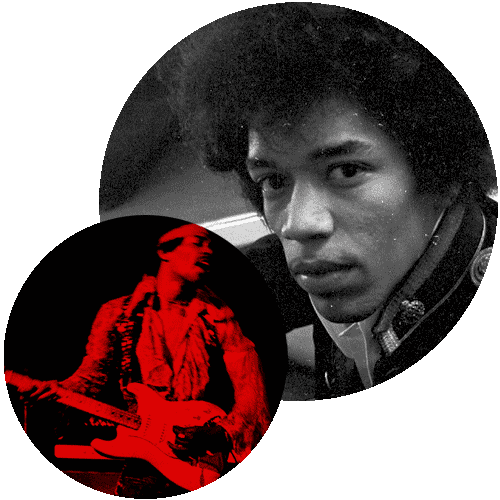 Janie Hendrix, CEO of Experience Hendrix noted, "Everyday, we see how Jimi's musical legacy continues to transcend generational and cultural boundaries. This tour is our way to give a live concert experience that reflects the genius of his unifying spirit. Part of our mission is to share Jimi's music with audiences of all ages and these tours continue to play a key role in fulfilling that vision. As my brother Jimi would say, "We want our sound to go into the soul of the audience, and see if it can awaken some little thing in their minds... Cause there are so many sleeping people.."